Dulce de leche, or 'candy of milk', is made by boiling a tin of condensed milk for several hours, magically transforming it into toffee. 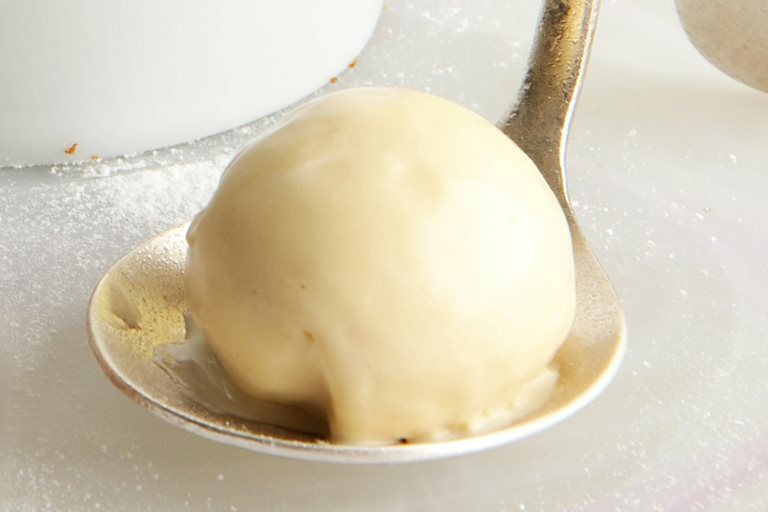 James Sommerin incorporates this delicious component into his exquisite condensed milk ice cream recipe. It takes time to make dulce de leche, but it is well worth the wait.